In the course of the standing issue Lord Hope talks about ospreys – hence my title, but a bit more context first. And we shall also see the views of the Court that standing and discretion are linked questions. Mr Walton lived in the vicinity of this proposed road scheme. The broad nature of the scheme (the Modern Transport System or MTS) was formulated by a non-statutory partnership called NESTRANS, a group of local and other authorities. The Minister for Transport proposed a revised route (incorporating a new element, known as Fastlink) within a specified corridor, and then narrowed things down to a preferred line within that corridor. The last was put forward in a draft order, receiving 10,000 letters of objection. The Minister announced and held a public inquiry. The particular route was subject to environmental assessment. But the inquiry was specifically set up to exclude consideration of the underlying policy decision to proceed with the road. Mr Walton and his organisation, Road Sense, appeared at inquiry. The upshot of the inquiry was to confirm the Ministers’ proposals. Mr Walton challenged this decision, by way of a statutory appeal, which could only be brought by a “person aggrieved” – a term of art. The challenge failed at first instance, before the Lord Ordinary, and on appeal, before the Inner House. In ruling against Mr Walton, the Inner House ruled that he was not a person aggrieved, and had no standing to sue. By the time the matter came before the Supreme Court, Mr Walton was concentrating on his argument that the Fastlink was a plan or programme which needed Strategic Environmental Assessment under the EU Directive of that name – in the absence of such assessment, it was unlawful. He also said that the procedure adopted at inquiry was unfair at common law, because of the limited nature of its terms of reference. The Supreme Court unanimously agreed with the courts below. In short, it said that adopting Fastlink was not the modification of a plan or programme falling within the SEA Directive, and the procedure adopted at inquiry was not unfair at common law. Now, for those not fascinated by the intricacies of Environmental Impact Assessment and SEA, to the bits of wider interest. All these are technically “obiter”, or not necessary for the decision on the SEA point, but are nonetheless of considerable importance. The Supreme Court in three substantive judgments made it plain that they could not agree with the Inner House’s view that Mr Walton did not have standing. The express provision (about “person aggrieved”) is a statutory one, but the Justices were at pains to see that result against the background of the similar issue as to whether a claimant had sufficient interest to mount a challenge by way of judicial review, and further to align the results under Scottish law on both issues, with the far more relaxed attitude to standing adopted by English lawyers in the last 20 years or so. Mr Walton was a person aggrieved, they said, because he had appeared at inquiry, and lost; he was chair of a local organisation formed specifically to oppose the road scheme. So he could bring proceedings. In many contexts it will be necessary for a person to demonstrate some particular interest in order to demonstrate that he is not a mere busybody. Not every member of the public can complain of every potential breach of duty by a public body. But there may also be cases in which any individual, simply as a citizen, will have sufficient interest to bring a public authority’s violation of the law to the attention of the court, without having to demonstrate any greater impact upon himself than upon other members of the public. The rule of law would not be maintained if, because everyone was equally affected by an unlawful act, no-one was able to bring proceedings to challenge it. An individual may be personally affected in his private interests by the environmental issues to which an application for planning permission may give rise. Noise and disturbance to the visual amenity of his property are some obvious examples. But some environmental issues that can properly be raised by an individual are not of that character. Take, for example, the risk that a route used by an osprey as it moves to and from a favourite fishing loch will be impeded by the proposed erection across it of a cluster of wind turbines. Does the fact that this proposal cannot reasonably be said to affect any individual’s property rights or interests mean that it is not open to an individual to challenge the proposed development on this ground? That would seem to be contrary to the purpose of environmental law, which proceeds on the basis that the quality of the natural environment is of legitimate concern to everyone. 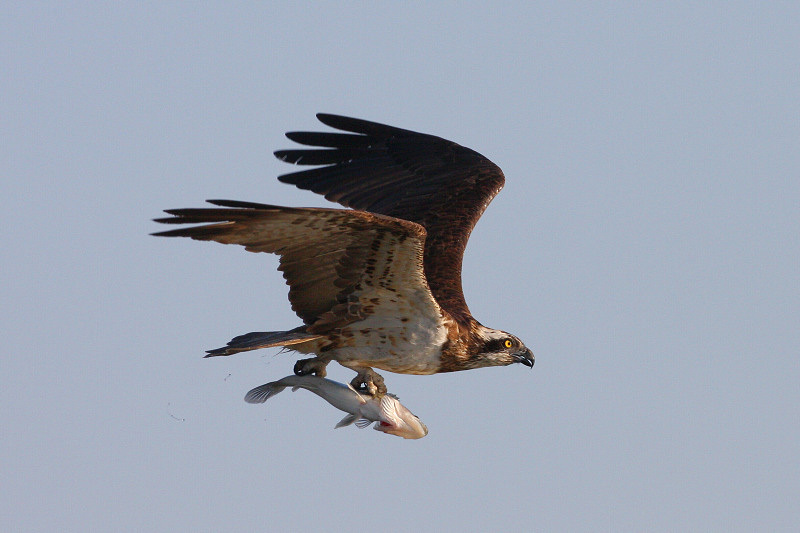 The osprey has no means of taking that step on its own behalf, any more than any other wild creature. If its interests are to be protected someone has to be allowed to speak up on its behalf. So nature may not have rights. But we have a right to stand up for it. For some years, and based upon the Berkeley case involving environmental impact assessment, it was thought that there was a very limited discretion in a court not to quash a decision where the unlawfulness arose under EU law. It was thought that this flowed from the EU principle of “effectiveness” – namely that domestic procedures (about quashing and the like) should not render impossible or excessively difficult the exercise of rights conferred by EU law. Lord Carnwath charted his way in - through both domestic and EU cases to demonstrate that the principle of effectiveness did not constrain domestic courts in such a way; they would not have to quash a decision involving EU law where they thought that the breach had not caused substantial prejudice. Interestingly, he did so even in the face of a part concession by counsel for the Scottish Ministers on this score. And he was not alone. Lord Hope expressly agreed with this analysis: . Lords Kerr and Dyson agreed with Lord Carnwath’s speech. Lord Reed was more cautious – he thought that the issue required fuller consideration, in the light of specific Scottish legislation, including the Scotland Act: -. At the same time, the interest of the particular applicant is not merely a threshold issue, which ceases to be material once the requirement of standing has been satisfied: it may also bear upon the court’s exercise of its discretion as to the remedy, if any, which it should grant in the event that the challenge is well-founded. I will however add a few words of my own on the issue of discretion, which in practice may be closely linked with that of standing, and may be important in maintaining the overall balance of public interest in appropriate cases (see, for example, R v Monopolies and Mergers Commission, ex p Argyll Group plc  1 WLR 763, 774-775). In this respect, I see discretion to some extent as a necessary counterbalance to the widening of rules of standing. The courts may properly accept as “aggrieved”, or as having a “sufficient interest” those who, though not themselves directly affected, are legitimately concerned about damage to wider public interests, such as the protection of the environment. However, if it does so, it is important that those interests should be seen not in isolation, but rather in the context of the many other interests, public and private, which are in play in relation to a major scheme such as the AWPR. This may broaden the arguments on discretion considerably, and may concentrate more attention on standing arguments in English courts, given the inter-connection, even if they are not used as knock-out blows against claimants. Not only are all the public benefits of the scheme proceeding put into play but also these have to be weighed up against the very specific detriment suffered as a result of the particular breach of process, and the individual’s involvement. One can readily understand the rationale for this – why should a defect on process lead to significant delays in an already much-delayed scheme – as in this case? But there will be other circumstances in which the claimant can say with some force – this is not a decision for the court to take; the court’s job on judicial review is to assess the lawfulness of the procedure adopted. If the procedure has gone unlawfully wrong, it is for the Minister, not the court, to come up with the answer after going through the right procedure – and the fact that I am only involved in a limited way is neither here nor there. The Aarhus Convention usually surfaces in claimants’ arguments. But here it went the other way. Lord Carnwath derived comfort from the decision of the Aarhus Compliance Committee rejecting Road Sense’s complaints about the limited scope of the public inquiry, and the lack of consultation at earlier stages , on “the issue of common law fairness, and the merits more generally” . See my earlier post on this decision. Nature – give it a right or put a price on it? Side Question: Has anyone challenged Coroner’s Rules re: their definition of an ‘interested party’ to a death? At present , it appears to be entirely up to a Coroner to decide who they recognise as an ‘interested party’ Once NHS reforms come online, would ANY member of the public, who lived in a particular area, and was likely to find themselves referred to a particular hospital by their GP, have a right to insist on an Inquest into the death of a third party (who was not a relative or close acquaintance) at that NHS hospital ? If refused, could they JR the decision? E.g. in the case of C.Diff/MRSA or poor care standards in a Foundation Trust hospital that had been permitted to ‘self assess’ by the Care Quality Commission for 15 years.